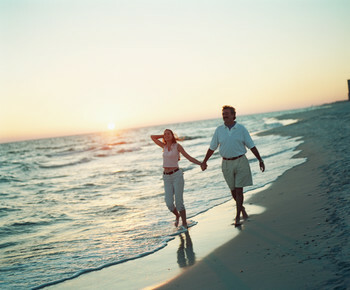 The idea of a romantic getaway has taken on a new twist as it seems that British holidaymakers set their sights high. 30 year old current Superman star Henry Cavill came top of the list of male celebrities that women would most like to go on holiday with, according to a new survey. The research was conducted by holiday website Latedeals.co.uk and asked 1000 British women aged between 18 and 35 to name their top three make celebrities. Nearly half of all those questioned named Cavill, with long time favourite David Beckham only managing to come second with 42%. He told BBC presenter Kevin Camplin that he was 'more than delighted' to join forces with the Oscar winning Argo actor. Coming in at sixth place was One Direction star Harry Styles, only two points behind diver Daley, and at only 19 years of age they were the two youngest members of the 'most wanted' top ten. Another Harry was named in seventh place, making him the only royal in the list, although Daniel 007 Craig in eighth place could be said to have a royal connection after his supporting actor role to the Queen in Danny Boyle's surprise Olympics film segment last year. At 45 Craig was also the oldest nominee, with Black Eyed Peas singer Will.I.Am aged 38 being the closest, although he only managed to scrape into the list at number 10 with 10% of the vote. Twilight actor Robert Pattinson managed ninth place with 16%. Taken all together, the ten names show that British women set themselves a high standard for a holiday romance. In which country would your ideal holiday romance be set? Wherever you choose don’t forget to take out travel insurance before you go.